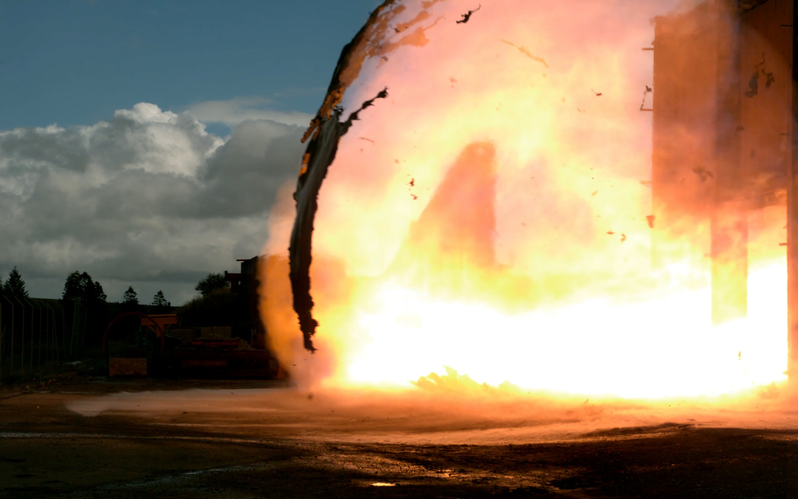 DNV GL has commissioned the operation of versatile unit for large explosion research at Spadeadam Research and Testing in the UK. The chamber supports not only a joint industry project (JIP) initiative but also an identified need in the market place and they have just completed five commissioning runs of varying explosion severity. Spadeadam was engaged in 2017 to run near full-scale explosion experiments for a new DNV GL-led JIP; CostFX. The purpose of the CostFX project is to investigate cost-efficient explosion load descriptions for process areas. The project is driven by a need to improve and align knowledge between HSE, fluid dynamic and structural disciplines on explosion load criteria. The aim is to reduce complexity and over design in current models and methodologies for explosion protection, while balancing demand for valid, accountable safety margins. It ultimately would provide increased safety and reduced cost. It became quickly apparent during the course of the JIP that a larger, partially confined explosion area, would give depth and validity to the results. It was also quickly established that the construction of the 28 x 12 x 8m unit, making use of the original full scale explosion rig built following the Piper Alpha disaster, would be beneficial for tests undertaken for passive fire protection (PFP) performance verification. Work carried out at Spadeadam, which is the largest facility of its kind in the UK, consists of confidential, large-scale, major hazard experiments, including flammable gas dispersion, fires, explosions, pipeline fracture tests, blast and product testing in a safe and secure environment.